Rhodes Island, Medieval city | Flickr - Photo Sharing! A traditional street in the medieval city of Rhodes Island, Greece. rockbeglam and Cathy G. (LA) added this photo to their favorites. I have someone I love living in Rhode Island, but that's in the US. 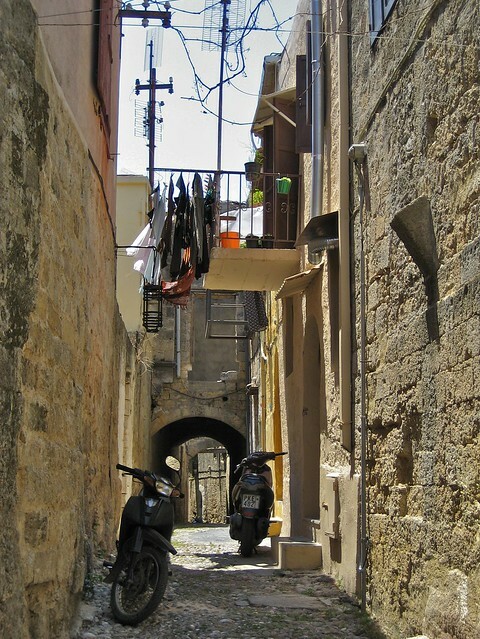 Lovely capture on the objects synonymous with Greece (in my opinion) - Scooters, back-alleys, textured walls and laundry!